Teach your kids to read and write using these great free software downloads for Windows. By using the open-source eBook virtual library called eLibrary, you can catalog all of your books so that your students can easily find something interesting to read. eLibrary is a bit unique because it gives you the option to not only collection and organize e-books, but also any regular books that you might have as part of your library. Find That Word is a free word search puzzle maker that lets you easily and quickly incorporate vocabulary words or terms that you want students to learn, into a professionally made word search puzzle. Artha is a free, open source cross-platform English thesaurus that works completely off-line and is based on WordNet. Is is available for GNU/Linux and Microsoft Windows. For a given word, the possible relatives shown by Artha includes Synonyms, Antonyms, Derivatives and many more. Sebran's ABC is a freeware collection of 12 different activities for kids 4-9 years old. It includes counting games, a Hangman game, Memory games, typing games and much more. The Amazon Kindle is, by far, one of the most popular ebook readers in the world. It is very easy to set up the free Kindle software for PC to encourage kids to read more often and even on their own, just for fun, without the need to buy expensive hardware. There are so many fantastic websites online today that provide excellent reviews and a synopsis of the most popular childrens books today. 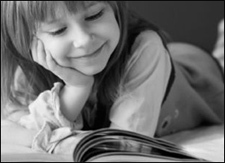 The following list is ten of the best childrens book review websites on the Internet. Moshi Monsters is a cute virtual pet game where the child adopts a new Moshi pet which they can nurture and raise, interact with, play games with and much more. The Moshi Pet community is filled with activities and games that will captivate the interest as well as teach important lessons - without the child even realizing that they are learning. That is the magic of online educational games like this - effortless learning.